Ever notice our tendency is to compare ourselves, usually to people that are worse than us. I've been pulled over for not stopping completely at a stop sign and my first thought was "Why didn't this cop stop those people who blow through this same stop signs?". Of course this doesn't negate or justify the fact that I didn't stop at the stop sign myself. It is similar to a drunk drivers who defend themselves by saying 'At least I don't murder people in their own homes at night.' There is a name for this and it is called 'Self Justification' or 'Rationalization'. This is because, as humans, we tend to be subjective. Unfortunately for most of us, our laws deal in absolutes. Most of us find this out by the hefty fines and other penalties slapped upon us, as a result. You see, the law isn't about comparing our performance to that of someone else. Rather the law is a standard for you to meet. So in these examples, the law would ask the following: Did you come to a complete stop behind the stop line? Did you drive with a blood alcohol level over 0.8? Either you meet the standards of the law or you don't. The purpose of the Law is basically to silence you and show you that you either innocent or guilty. There is no halfway innocent or halfway guilty. Worse yet you break one law or several laws you would still be considered a criminal. Many people try to apply this 'Rationalization' or 'Self Justification' when they are placed before a human judge. But even more try to apply it when it comes to being placed before God, the ultimate judge. The Bible has a similar name for this 'Rationalization'. It is called 'Self Righteousness'. Sounds different but has an identical definition. It means making yourself appear right by appearing more noble than someone else. Again it doesn't negate or justify the fact that you have also fallen short of the standard set by God in this case. having strong explanations or justifications that one's behavior is right. having or showing a strong belief that your own actions, opinions, etc., make one's self right. Thou shall have no other gods before him. Most of us would look at these and say 'No problem, I can stay away from all of those. God as my witness.' However what few of us seem to understand is we are dealing with an infinite God that can see our thoughts, motives, and intentions at all times. The thought of stealing is just as bad as the act of stealing itself. Bending the truth even slightly is as bad as a bold faced lie. Being angry at someone without any reason is as bad as taking a knife and plunging it in their heart. Even simply looking upon something or someone with desire that you can not rightfully have is as bad a coveting and committing adultery. So therefore in order for us to be good enough in God's eyes, our ﻿Thoughts, Deeds, Intentions, and Motives have to be right at all times﻿. Sound kind of harsh doesn't it? But that is what standing before a holy God means. ﻿With God the thought, or intention, or motive is as bad as the deed itself﻿. Under that circumstance, can any of us really say we follow these 10 commandments? I'm sure if any of us, myself included are truly honest with ourselves, we have to admit that at least one of those four are wrong at any one time. So like the law of the land these 10 commandments serve only three purposes. 1) It silences us in our guilt, making it impossible to justify our actions or our thoughts. 2) It spells out the results of the breaking of the law, which is separation from your God & creator, 3) And if honest, it will drive us to admit we need someone to save us or redeem us from the penalty of this Law. Fortunately for us the Law of God does have provide a method of substitute. The substitute has to be something guiltless and perfect sacrificed in place of the guilty party. 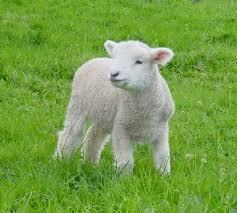 In old sacrificial system it required the death of a unblemished or spotless lamb. However the blood of an animal would only go so far to cover the crimes of a human. It could only push the sin debt forward by one year. In order to erase the sin debt entirely one needed to sacrifice a perfect sinless human. Again we hit a dilema as self righteousness does not help as it only makes excuses for our lack of perfection. You need what God demands in the Law, which is total perfection. God knowing our need before hand, again provided what was needed in the person of his Son, Jesus the Christ. Being completely God and completely man simultaneously, only Jesus Christ was born without the original propensity to sin (break the 10 commandments) and could live the perfect life that Law required. Then with Jesus sacrifice is our sin debt before God completely erased and removed. Simply put, Jesus lived the perfect life died to pay the death penalty we had hanging over all of us. But the story didn't just end there. After three days he resurrected himself, as not only a proof of His claim as being God's son to all who would dispute it, but also as a guarentee for those of us who would believe in Him that we too would be raised in similar fashion when he comes back for us. By sacrificing the Son of God, God holds out to us the adoption of us as children of God as well, subject to all the blessings of eternity with Him. One person protested to me that not only was this too simple but it was unfair for an innocent man to suffer for the guilty. Well the good news is that God (YWH) is all about being unfair. He could have easily just let us bear our own consequences of breaking His perfect law, but instead He took it upon Himself. Instead of requiring us pay a lifetime for our mistakes he insists on taking them upon Himself and instead giving us what we don't deserve, a life that never ends with Him the giver of life. It is really that easy. No amount of "good works" on your part will help get you saved nor keep you saved, as it is a free gift God offers each and every one of us. Don't believe the people who tell you believing is not enough, that you must accept Jesus with some other activities tacked in (good work, tithing, Sabbath keeping, etc) to be saved. All it takes is recognizing your sins and faith in Jesus as is covered in this prayer to be washed in the blood of God's Lamb Jesus.